Sports are the opiate of the people, particularly in the United States, Europe, and parts of South America. Globally, billions of fans feverishly focus on the summer and winter Olympics. In theory, international fraternalism is boosted by these "friendly competitions," but often national rivalries eclipse the theoretical amity. How the Olympics have dealt with racism over the years offers a window to better understanding these dynamics. Since their revival in 1896, the modern Olympics were periodically agitated by political and moral conundrums. Racial tensions, the topic of this volume, reached their apex under the polarizing presidency of Avery Brundage. Race in sports cannot be disentangled from societal problems, nor can race or sports be fully understood separately. Racial conflict must be contextualized. Racism and the Olympics explores the racial landscape against which a number of major disputes evolved. The book covers various topics and events in history that portray discrimination within Olympic games, such as the Nazi games of 1936, the black American protest on the victory stand in Mexico City's Olympics, as well as international political forces that removed South Africa and Rhodesia from the Olympics. 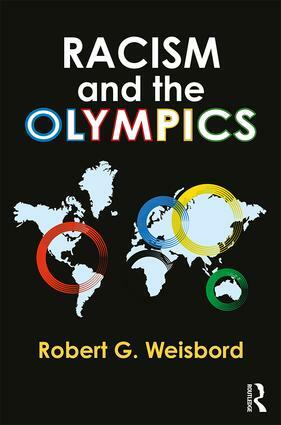 Robert G. Weisbord considers the role of international politics and the criteria that should be used to determine nations that are selected to take part in and serve as venues for the Olympic Games.